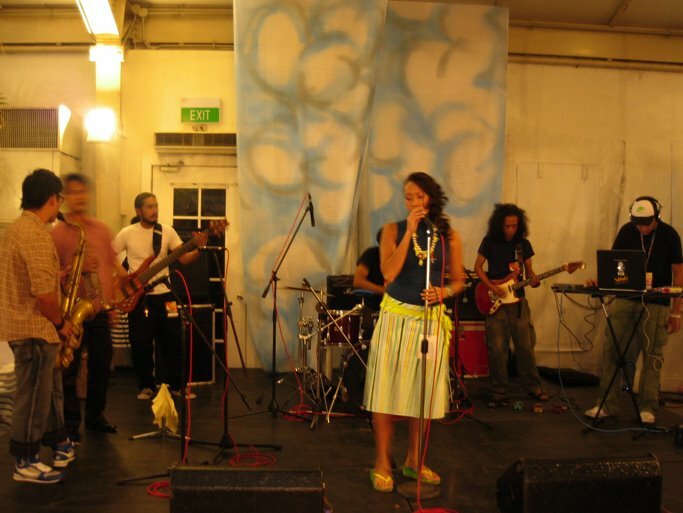 people refer to the rockwell vintage bazaar as the sosyal bazaar. why? aside from the sosi location, while most other bazaars charge only a 50-peso entrance fee, here you have to pay a hundred bucks to get in! 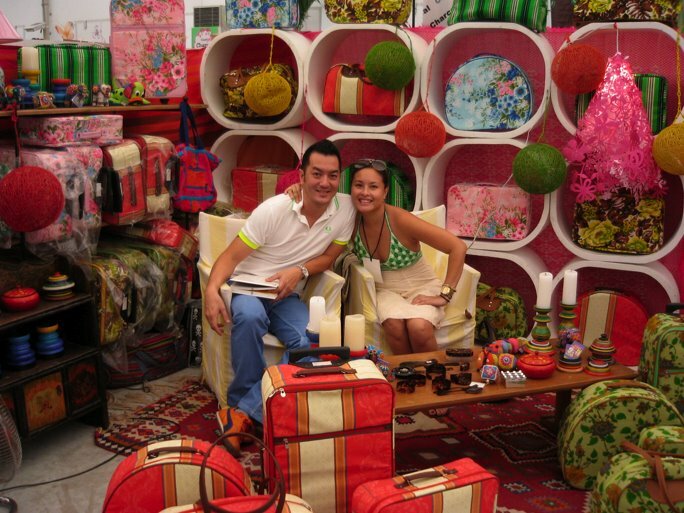 (but nothing beats ruffa's celebrity bazaar last saturday at market! market! where the entrance fee was 300 hundred bucks! someone even complained to inquirer that that amount is all they have to go shopping with!) then of course there are the vendors who are just as pretty as the merchandise... above, mediagenic couple norman and astrud crisologo of casa amarilla who easily had the most attractive booth. and if you were looking to score—hot buys as well as hot guys and gals—well, you came to the right place. the place was teeming with beautiful bodies and pretty-enough-to-model faces (as well as actual models—the PMAP [professional models association of the philippines] had a booth there). below, bianca valerio and nicolette bell sell shoes. plus, may entertainment pa! on the first night (saturday) nyco maca and her band performed their infectious brand of brazilian/jazz/soul music... ...while the nimble planet zips group of cat juan and tals diaz mesmerized the audience with their graceful moves. wow, watch them here! how much are astrud's bags? thanks for posting the video of cat juan doing zips. it looks like tons of fun!